Twenty years after humanity was resurrected on Riverworld, Sam Clemens (Mark Twain) is traveling with the crew of a Viking longboat, captained by Eric Bloodaxe, who is notable for having an axe made of metal. 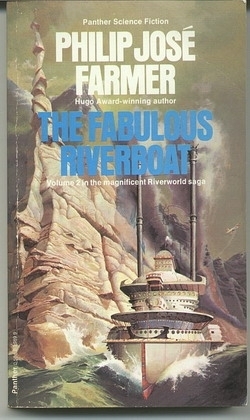 On the metal-poor Riverworld, where even a few ounces of metal is a treasure, this is a rarity. Clemens and Bloodaxe have allied in order to find the source of this metal. Clemens is accompanied on his quest by a gigantic prehistoric hominid whom he has named Joe Miller. Miller, despite being very cordial, and talking with a lisp, is a fearsome warrior because of his size, and protects Clemens from Bloodaxe's crew. Clemens is also motivated in his quest by his desire to be reunited with his terrestrial wife, Livy.